About Alliance Networking, LLC . Since 1999, Alliance Networking, LLC has worked to provide the Router, Switch and WiFi product requirements of its end-user customers worldwide. After the breakup of the Bell companies and the outsourcing of repair we established our company as one of the leaders in data communications repair. We developed a hot spares program for these customers that could not wait on the long delays from the OEM. Once the network was back operational we repaired the defective equipment and replenished the customers stock with equipment to be deployed for the next outage. Today we are providing some of the same services to the carriers and commercial marketplace. We have broadened our product mix but our biggest achievement was earning the trust of our customers to go beyond the call of duty to get their network back up as soon as possible. 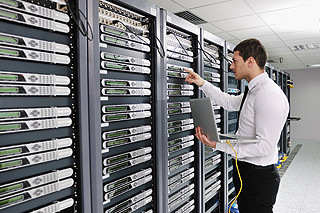 Alliance Networking's state of the art repair lab is capable of multi-vendor repair on Routers, Switches, Wireless Access Points, Firewalls, Multiplexers, Channel Banks, Optical, IP Phones, Test Sets and more. We are manufacturer neutral and recommend only the best products for your application and business. The solution must be rock sold and proven before we will recommend to our customer base. Once the product life cycle has ended we help our customers recoup some of their investment by remarketing these legacy products to assist in keeping network upgrade costs to a minimum. Our mission is to build long term strategic partnerships with our clients, by helping them achieve their information and communications goals that are cost effective while providing unmatched customer service. Get INSTANT QUOTES on Routers, Switches and WiFi products today!